Texas Instruments (TI) introduced a new family of LED drivers with integrated, independent color mixing, brightness control and a power-saving mode. The LP5018, LP5024, LP5030 and LP5036 enable smooth, vivid color and reduce system power consumption. Multichannel options:18-, 24-, 30- and 36-channel options provide independent color mixing and brightness control, while three integrated, programmable banks enable simplified software coding and ease of design. 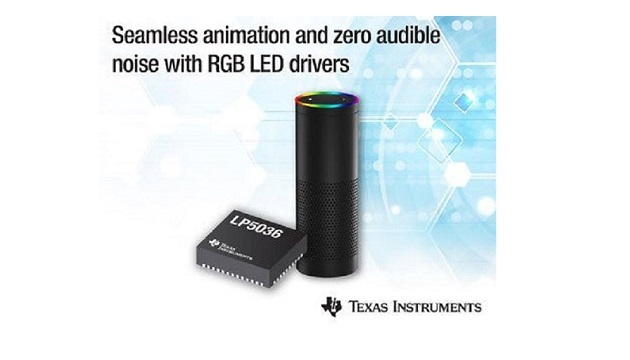 These new LED drivers with integrated PWM join TI’s extensive LED driver integrated circuit (IC) product portfolio, design tools, and technical resources that can help electronics designers add innovative lighting features to their systems.